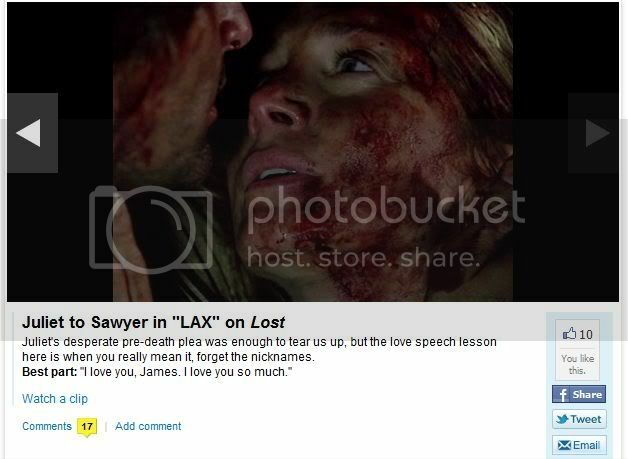 Seven years ago today LOST 5×17 aired and broke our hearts. Juliet Burke is my favorite character and it is so hard to accept what happened to her. When LOST ended one year after that, ABC sold costumes and props from the show on “LOST: The Official Show Auction” and I was so lucky to bid and win Juliet’s costume from “The Incident. When she died I was so desperate, but having this costume makes me feel like I somehow saved her. Every time I look at it I feel like she fell, but I got her. I think this costume is my way to feel better for what happened to her. I only need Elizabeth to sign it and it will be perfect! I wanted to share this with all of you, because I know you love Juliet as well and her death still affect your hearts too.